Followers – users, who get notifications about public chat updates and can read public chat. Participants – users who can submit messages to public chat. Administrators - users with full access to public chat. 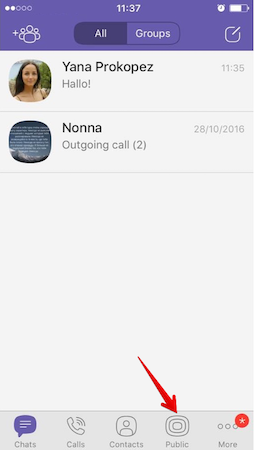 Since Viber is available for several devices with different interfaces, below you will find samples of interfaces for Viber public accounts. 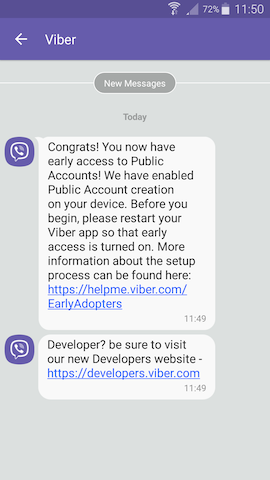 When you open Viber public account as account administrator or participant, you will see public account stream messages and new message form (“type a message”). Important: don’t confuse the public account stream interface (below) with public account private chats interface. If you are not a public account administrator or participant, you will see only public account stream. 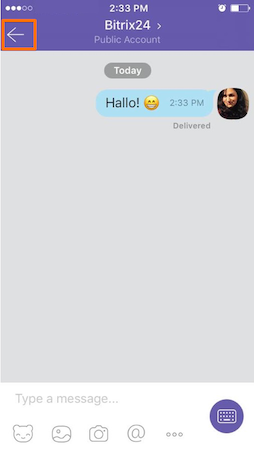 When public account is connected to the CRM system, you will find a special chat icon on the public account page. 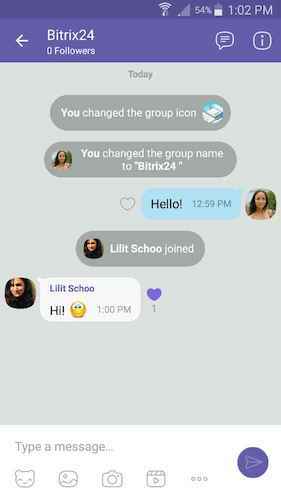 When users click on the chat icon inside your Viber public account, a new private chat is opened. All messages of this public account’s private chat are hidden from other Viber users. Viber public account administrators can add new administrators and participants, configure private chats for the public account, etc. For that Viber mobile app for iOS or Android is needed (other Viber apps don’t support this option yet). 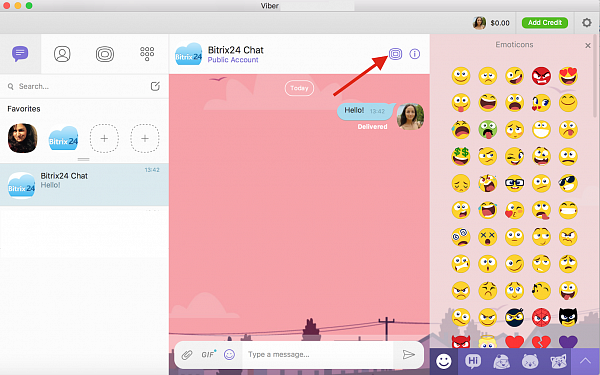 With Bitrix24 & Viber integration you get private chats for your Viber public account. All messages that end up in Viber public account’s private chat – appear in your Bitrix24 Open Channels. 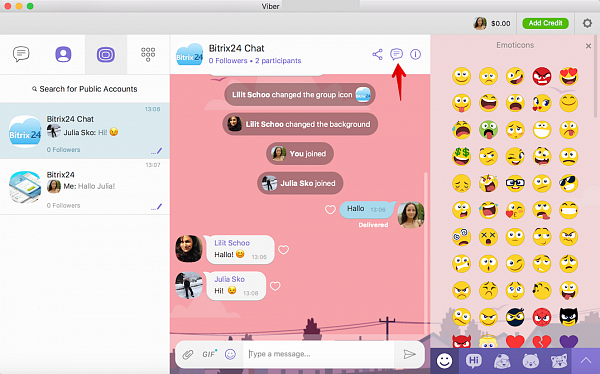 Please note that to moderate Viber public account stream you need Viber app (you cannot do that in Bitrix24). First, you need to submit an application to Viber here. Full Name - add your full name. 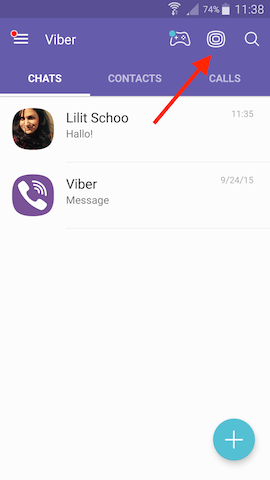 Viber phone number – add phone number that your Viber account is registered at. This account will become new public account’s administrator by default. Later you will be able to add more administrators. Email address – please add your valid email address. Country – add your country. Don’t forget to accept license terms. Some time is required for your application processing (usually about 5 minutes). After your application is approved you will get a notification in your Viber mobile app (for iOS & Android). 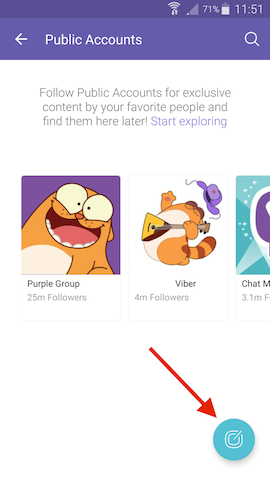 After Viber mobile app reload, a new option to add new Viber public account will appear. Now you can create new Viber public account. 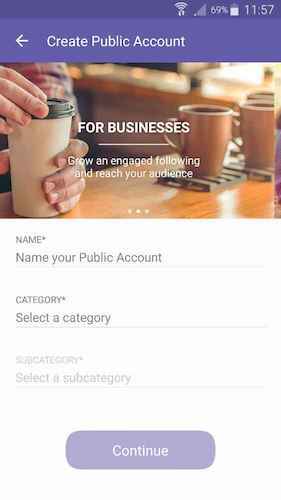 Read more about how to set your public account with Viber here. 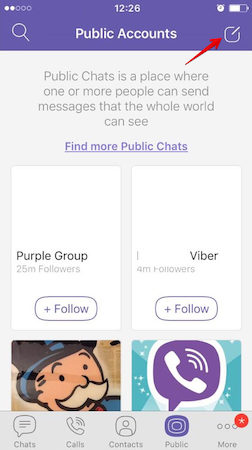 First, you’ll need Viber mobile app for iOS or Android. 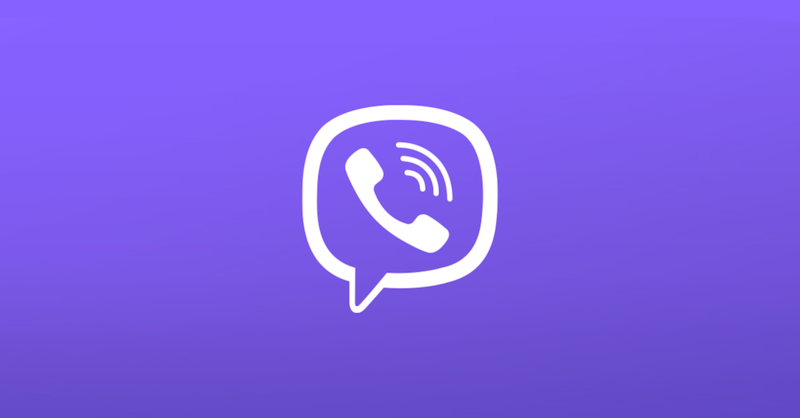 Open information icon from your Viber public account stream. Look for Viber public account setting page. There you will find the key that you need to add to your Bitrix24 to establish the connection. You will get a notification when the connection is established. 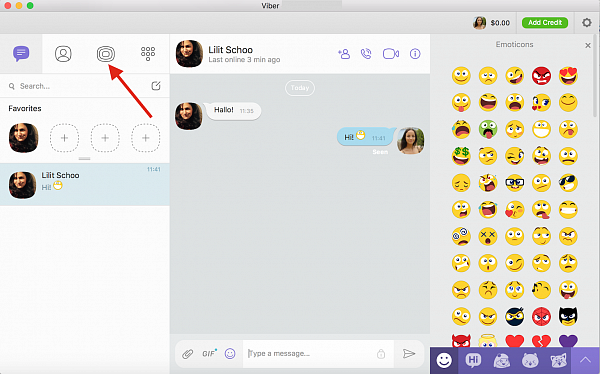 Now you will be able to send & receive messages in your Viber public account’s private chat.